A rare location for this built green row home, nestled into park like setting in south Stapleton. 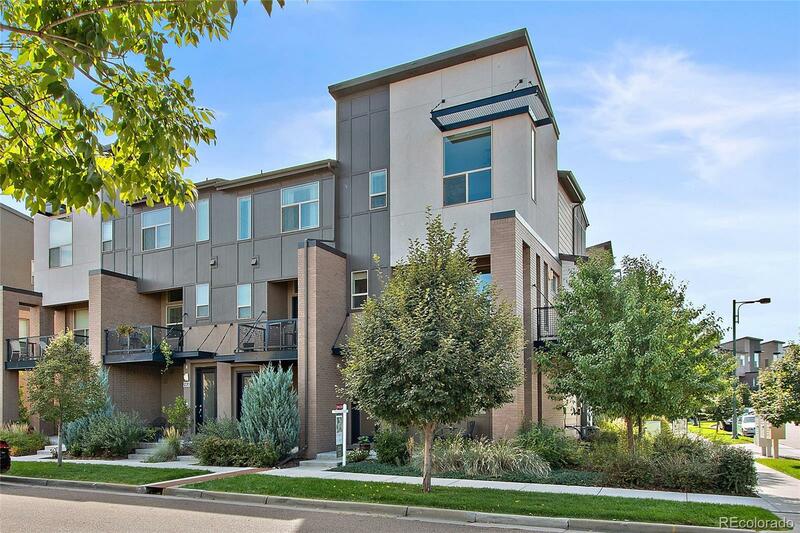 Upgraded with style & timeless finishes- granite, glass tile, wood flooring, stainless appliances, recessed lighting, custom window coverings, theater sound system and lots more that you will be happy to have! Step outside to a wrap around deck or hang out on your large front porch. Awesome location to enjoy the neighborhood walk to it all! Stanley Market place, 29th & Eastbridge town center, miles of parks & paths await. This home will check your boxes!